Medieval Morsels: Quinces - a most peculiar fruit? The Christmas season is well behind us now but I was intrigued at the special seasonal fruit produce that made its way into the shops. Amongst the piles of ever popular oranges were crates of clementines, mountains of mandarins, and sloths of satsumas. 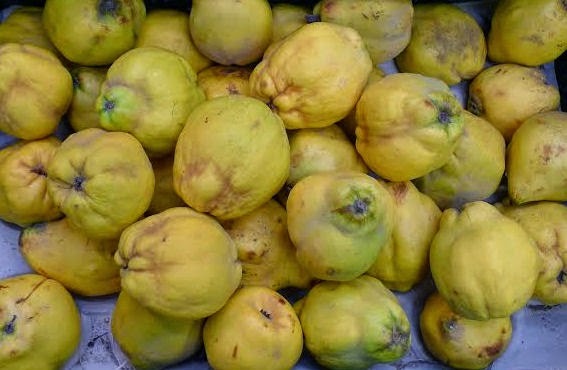 But more ancient and impressive of all of these, in supermarkets in Gibraltar and Spain at least, were the quinces. Looking like a knobbly cross between a pear and an apple, quinces do not soften as they ripen. But quinces are highly aromatic fruits and this quality was not lost on those living in the Middle Ages. Quinces in a supermarket in Gibraltar, not so pretty are they? One inch scale dollshouse fruit - quinces for a period setting! 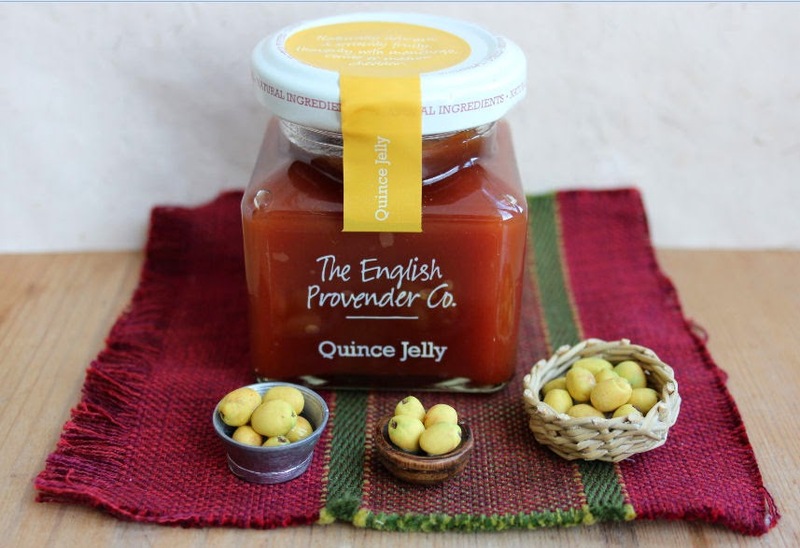 The quince in fact held a pre-eminent place in Medieval, Tudor and Renaissance kitchens and homes. One quince, or better still a bowl of them, would scent a room. Practically inedible raw, when cooked quince flesh turns pinkish and imparts an aromatic taste to whatever they are cooked with. A 12th scale pewter dish of quinces lends aroma to a Tudor room. So MedievalMorsels just had to model this strange fruit, so versatile and well loved in the Middle Ages. Perhaps quince fruits are not as rare as we might imagine. Some can be found, not at the greengrocers of in the supermarket, but in domestic gardens! Japonica quince for example - a cultivated quince from Japan. grown for its blossom. Now I come to think of it I have seen largish, scruffy fruits on leafless Japonica bushes in front gardens in winter here in England. I suppose they could be cooked and their aroma sampled! Well this spring, or summer? I will have to have my camera handy and snap some at least!